to a statistically-significantly greater degree than people in control groups. Depression, anger, and anxiety go down and self-esteem and hope increase. Some of these studies can be found on the Research Page of this website. In the second paragraph, he states: “….strong beliefs like ‘honour your father and mother’ can do much harm and can delay or obstruct the therapeutic process in a serious way.” Forgiveness, properly understood, does not demand that a person enter into the exact same role as he or she had under severe abuse. An abused spouse, for example, can forgive, but then stay away if further abuse is likely. An adolescent who is severely abused by a parent, with no end to this in sight, often is taken out of the home for the adolescent’s own safety and emotional health. One can forgive without assuming the same role as before when the abuse is severe and on-going with no anticipated change by the offending person. In the fifth paragraph we read: “Forgiveness in general can be important to mend broken relationships, but Martha has no reason to wish for a normal contact with her father.” Forgiveness, yes, can mend relationships, but this is not its only consequence. Mending one’s own broken heart is another consequence awaiting those who willingly choose to forgive and follow a proper protocol of forgiveness therapy. In the sixth paragraph we read: “In order to be able to forgive, the perpetrator should take responsibility……” If an offending person refuses to take responsibility and if the client thinks this is necessary, then we have a trap of unforgiveness: The client is not free to forgive whenever he or she wishes. In other words, the client is trapped in having to refrain from forgiveness, even if he or she wishes to do so. This could deprive the client of valuable emotional healing as pointed out above in our point 1. de Roos here is confusing forgiving and reconciling. In doing so, he is creating an unwitting trap of unforgiveness in clients. We read farther into the essay: “Forgiveness is a choice. In Martha’s case forgiveness was not possible and she is a clear example of how you can continue with your life without it.” I agree. Just because some people can get along without forgiveness does not invalidate forgiveness as a viable and good therapeutic strategy. And still farther: “….the most important thing is to feel your emotions like anger, hurt and revenge. You have to ‘wade’ through these and more painful feelings in order to find emotional balance.” Yet, how long and to what level of intensity is it necessary for a client to live with revenge? Revenge is a dangerous emotion if left unchecked. It can harm the self and others. Further, good forgiveness therapy starts with the acknowledgement of negative emotions such as anger and mourning. Forgiveness therapy does not invalidate these emotions, but instead acknowledges them and offers a path for the release of them. And finally, this: “People who hear from their therapist that they must forgive ought to think twice….” I could not agree more. This theme of insisting should not give forgiveness itself a black eye. Forgiveness itself, at its essence, gives people the free will to choose or reject forgiveness. It does not demand. Forgiveness is tough-minded and tender-hearted. It will never insist on hasty reconciliation nor that the forgiver become a doormat. 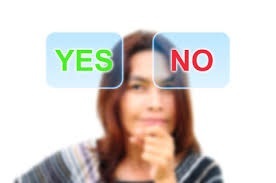 To think otherwise is to put the essence of forgiveness, and a client’s options, in a trap. 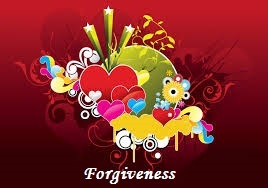 Our Forgiveness BlogMisconceptions, Why Forgive? Some claim that forgiveness is a Christian virtue that began with Jesus Christ. What do you say to that? I see that anyone, regardless of his/her religious beliefs, can forgive another, but is that person practicing a Christian virtue without recognizing its Christian root? When someone says forgiveness is a Christian virtue, can it mean that it was first then crystallized through the teaching of Jesus? Thank you. The first part of the answer is taken directly from an interview I gave for MercatorNet on July 8, 2015. But isn’t there a Christian bias built into the idea of forgiveness? Does it work in other faith traditions? Is there a bias in that only Christians can practice the moral virtues of justice, patience, and kindness? If not, why then would not forgiveness be open to all people? We all have the capacity to act virtuously. We may not all reach the same depth of practice, but we all can offer goodness to others in a variety of ways. Forgiveness, in other words, is open to all people in the world if they choose to exercise this particular virtue when hurt by others. Our research includes people of many faith traditions, as well as those with no faith. When those who choose the forgiveness path finish the work, their well-being tends to improve as seen in the research findings. See more at: Forgiveness: Why we need to have mercy on the merciless. Further, there are strong examples of person to person forgiving in the Jewish scriptures (see Genesis 37-45 in which Joseph forgives his brothers. The Qu’ran has a similar story in the book entitled Joseph. Confucian philosophy has the idea of “shu” which includes forgiveness. Hindu writings talk of forgiving those with whom you have been at war. Buddhism, although lacking an explicit word “forgiveness,” talks of loving-kindness and compassion and has stories that clearly show a person forgiving. Yes, the Christian faith and philosophy, especially as developed by Thomas Aquinas, developed a theology of forgiveness centered on charity or agape love. This, one can argue from a philosophical perspective, is the highest form of forgiveness, to love those who do not love you. Yet, it would be a mistake to say that forgiveness now is only a Christian moral virtue. It is a moral virtue open to all. WBTV News, Charlotte, N.C. – A couple who lost their two children – a newborn and toddler – in a fatal chain-reaction crash in late May, have forgiven the driver of the truck who caused the wreck. Hadley Eddings and her husband Gentry first lost their 2-year-old son who was killed instantly in the crash. Then Hadley, 8-months pregnant, gave emergency birth at a local hospital to their premature son, Reed. He died three days later. Hadley and Gentry, both 28-year-olds and married exactly six years on the day of the crash, say they have deep faith. According to Gentry, he had forgiven the driver by the time he arrived at the hospital that night. After the crash, friends set up a GoFundMe page that raised more than $200,000 in two months. But Gentry and Hadley say that those who want to support the legacy of their sons should help a Haiti mission where the couple has served – mohhaiti.org. “Mission of Hope Haiti” works to transform Haiti through various projects including orphan care, education, health care, nutrition, church advancement and empowerment programs for women and their families. Read more: NC couple relies on faith, forgiveness after losing both sons in crash. I have had a deep trauma in experiencing physical abuse in my former marriage. I am worried that forgiveness will open the wound again, something I certainly do not want. What do you suggest? When you forgive, you do not have to re-visit the details of the physical abuse. Forgiveness asks you to label what happened as wrong. You will have no problem in so identifying what you experienced. Once you label the behaviors as wrong, you then make a decision about whether or not to forgive: to examine the one who abused you as a person (not evil incarnate), to be open to softer emotions toward him, to offer mercy. None of these developments ask you to go back in time to visualize the trauma. At times, some people need to go back to examine whether or not what happened to them was, in fact, unjust. For example, an adult brother yelled at his adult sister, but it was in a context of her pushing him very hard regarding how he handles his finances. This occurred at a time of high pressure for him. She at first thought what he did was insensitive and hurtful. Yet, she was not sure and so she examined the experience in more detail. Upon doing so, she realized that she played a large part in his frustration and decided not to forgive because he had an extenuating circumstance concerning his behavior. Yes, some people still would choose to forgive, but she did not. She came to the decision by careful examination of the event. This is not the case for you. You know the abuse was wrong and so you can take the next step of deciding whether or not to forgive without examining any of the details of what happened. Editor’s Note: Learn more about the process of choosing to forgive in Dr. Enright’s self-help book Forgiveness Is a Choice. Here is a weakness of forgiving: When in an abusive relationship, a forgiver tends to hold out too much hope for reconciliation. What do you think about this as a weakness? Yes, I think you are seeing a weakness, not in forgiveness itself, but in the process of forgiveness. When another is unjust, the forgiver often does hold out hope that forgiveness will help the offending person to realize that wrong, change, and ask for forgiveness. Yet, this does not always work in this imperfect world. At the same time, even if the forgiver holds out a lot of hope, reality eventually will show him or her that the other refuses to cooperate. What has been lost is some time, but not one’s dignity or strength to love. My father thinks that to forgive is a sign of weakness and tells his family members to retaliate with the fist rather than forgive. Is this helpful or harmful? Forgiveness is not a sign of weakness when it is properly understood and practiced. It takes great courage to stand in love even when another person is being unjust. And we have to realize that forgiveness and justice do work together, not in isolation of one another. In a particular circumstance, if the only way to right a wrong is self-defense, and if “the fist” is the only way to protect oneself at the moment, then “the fist” might be part of a just-war, so to speak, but then forgiveness should be considered after the “war” is over. The ancient Greeks such as Socrates, Plato, and Aristotle had a lot to say about the moral virtues, of which forgiveness is one. Yet, I do not read anything about forgiveness in Aristotle’s writings, for example. Did they miss the discussion of forgiveness? You are correct that Plato and Aristotle did not discuss person-to-person forgiveness. Yet, Aquinas in the 13th century, who was an Aristotelian in his theology, talked of forgiveness as part of charity or love. I have talked about forgiveness as part of Aristotle’s moral virtue of magnanimity or greatness of heart (in the journal Counseling and Values in 2014). So, although Plato and Aristotle did not directly discuss forgiveness, it is implied in the moral virtue of magnanimity and was folded into the idea of agape love from the ancient Greeks by Aquinas.